A third grade boy holding a book in reading class at the Manzanar War Relocation Center. The National Park Service strives to tell the stories of all Americans. We tell these stories at parks such as Manzanar National Historic Site, Cane River Creole National Historical Park, Sand Creek Massacre National Historic Site, and Rosie the Riveter/WWII Home Front National Historical Park. We also tell these stories through our preservation programs such as the National Register of Historic Places and the National Historic Landmarks Program and through research and publication by many parks and programs. All are part of an effort to provide an inclusive and honest look at American history. Here are collected some of our publications touching on the historical experiences of those who have been underrepresented in traditional histories. Also find extensive links with which to explore the never-ending story of America. Edited by Franklin Odo. 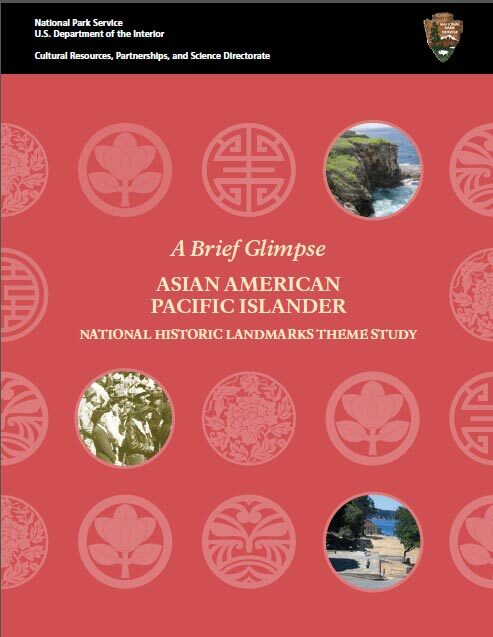 Each chapter has been written and peer-reviewed by experts in Asian American and Pacific Islander studies. 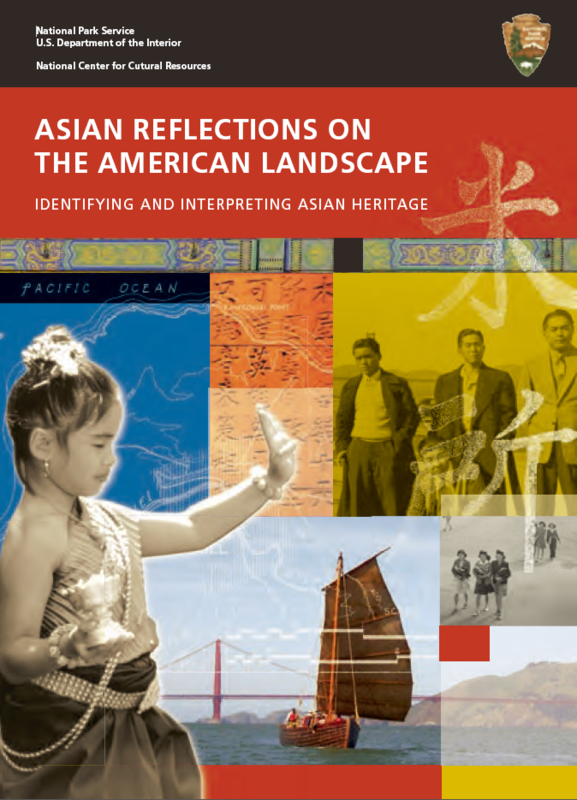 Asian Reflections on the American Landscape: Identifying and Interpreting Asian Heritage [.pdf |196 KB] examines Asian cultural heritage found in the American built environment and its interpretation within NPS cultural resources programs. Historic Preservation from the Ground Up: The Harada House [.pdf | 1 MB] uses a house in Riverside, California as a case study in how a community can participate in local preservation. The Harada House has become a landmark in the fight for Asian American civil rights. Despite its significance, the road to its preservation was a long and contentious one. 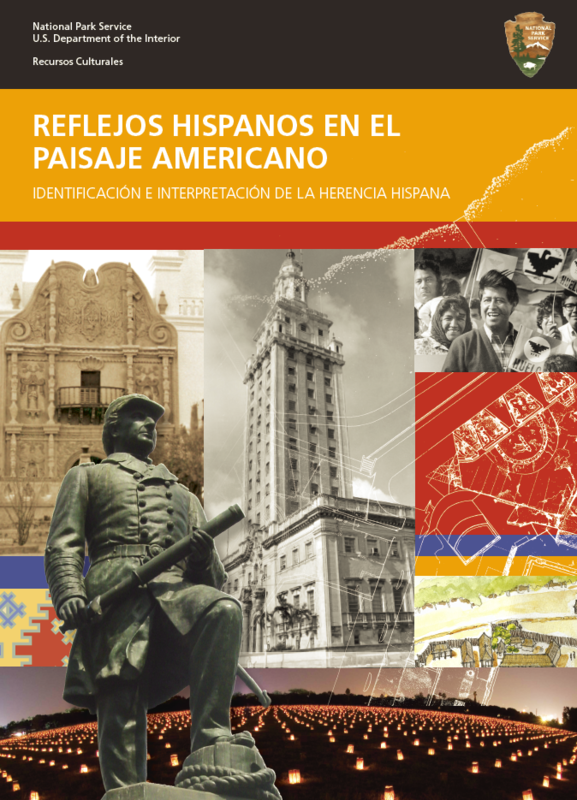 Hispanic Reflections on the American Landscape: Identifying and Interpreting Hispanic Heritage [PDF 10 MB] examines Hispanic cultural heritage found within the American built environment and its interpretation thoughout NPS cultural resources programs. The publication is available in English and Spanish. African Reflections on the American Landscape: Identifying and Interpreting Africanisms [.pdf | 5 MB] examines African cultural heritage found in the built environment and its interpretation within the NPS cultural resources programs. Places of Cultural Memory Conference Proceedings [.pdf | 5 MB], contains the papers presented at the "Places of Cultural Memory: African Reflections on the American Landscape" conference in Atlanta, May 9-12, 2001. Keepers of the Treasures, Protecting Historic Properties and Cultural Traditions on Indian Lands [.pdf | 17 MB] examines the funding needs for the management, interpretation, protection, and development of places of cultural significance on Indian lands and other native cultural heritage. LGBTQ America: A Theme Study of Lesbian, Gay, Bisexual, Transgender, and Queer History. A publication of the National Park Foundation for the National Park Service and funded by the Gill Foundation. Each chapter is written and peer-reviewed by experts in LGBTQ Studies. What Can You Do to Get Involved with the LGBTQ Heritage Initiative? [.pdf | 627 KB] helps guide readers through the ways that they can participate in the LGBTQ heritage and preservation in their communities. The Finding Our Place: Queer Heritage in the United States booklet [.pdf | 3.5 MB] provides an overview of the many places across the country with LGBTQ stories. Acknowledging these sites of trauma, protest, and memorial helps to make LGBTQ heritage more visible in the past and present. The Cultural Heritage Needs Assessment: Phase 1 [.pdf | 2 MB], was developed to gain a better understanding of what aspects of cultural heritage are important to diverse cultural groups and what the Federal Government's cultural programs could do to better address these aspects of heritage. 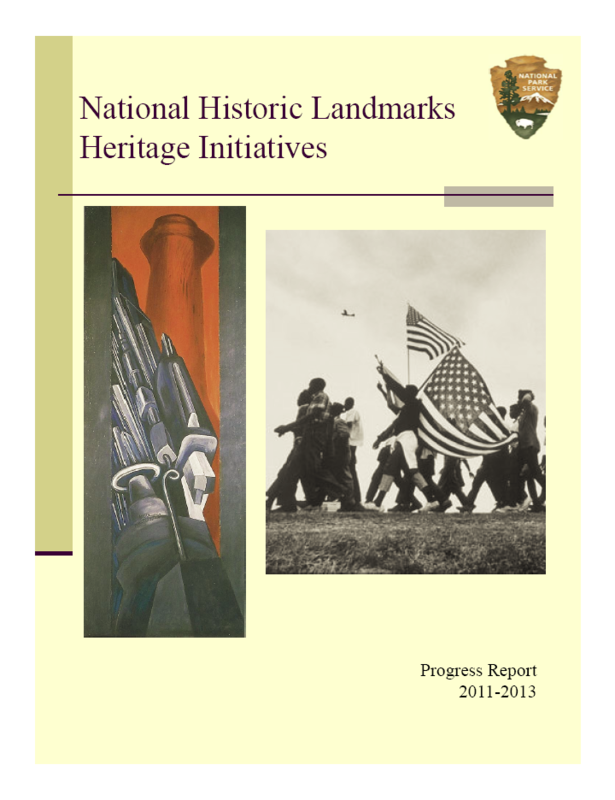 Read the National Historic Landmarks Program Summary 2011-2013 Progress Report [.pdf | 2.9 MB] on the Heritage Initiatives. Civil Rights in America: A Framework for Identifying Significant Sites (.pdf | 4.3MB): This theme study framework represents the first chapter in a larger study on the history of civil rights that helps the National Park Service evaluate proposals for new units in the park system. Includes civil rights associated with African Americans, women, Asian Americans, Native Americans, and LGBTQ. Historic American Buildings Survey (HABS), Historic American Engineering Record (HAER), and Historic American Landscapes Survey (HALS) collections are curated by the Library of Congress. Search these extensive collections, which document achievements in architecture, engineering, and landscape design in the United States and its territories through a comprehensive range of building types, engineering technologies, and landscapes. The Electronic Technical Information Center contains documents from parks across the service, including historic context surveys. The Data Store is another database of documents, including histories and historic contexts, of places associated with the National Park Service. The National Park Service's History Library contains thousands of electronic publications covering the history of the National Park Service and the units comprising the National Park System.